Poise yourself with this peridot ring from Apples of Gold. 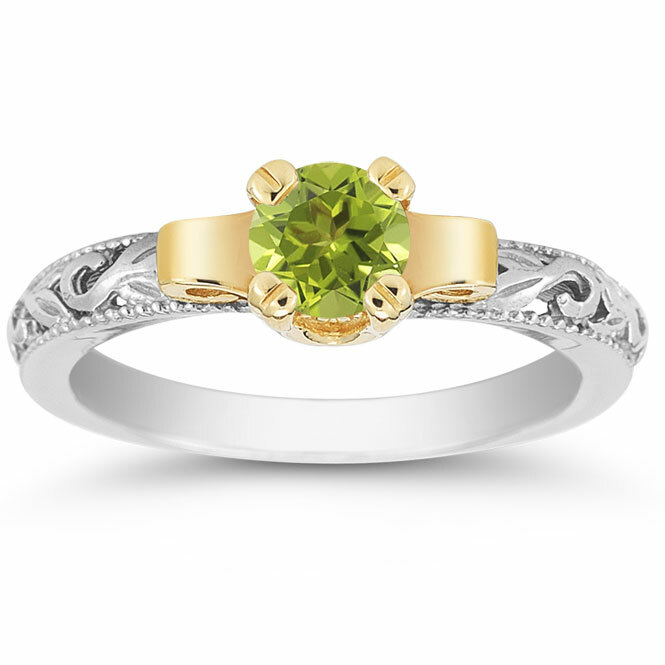 A gleaming 5mm peridot gemstone bring a bright green shine to this ring. The peridot is mounted in radiant yellow gold and the setting features two bold curves of gold to showcase the art deco inspiration. A white gold band offers an elegant and beautiful contrast and features precise carving to continue the art deco style. Two edges of thin beaded lines add texture and framework to this gorgeous Apples of Gold design. 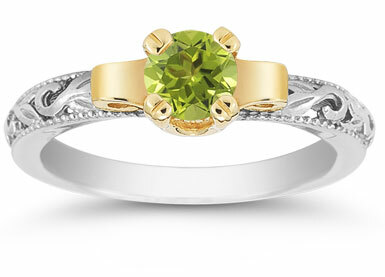 We guarantee our Art Deco Peridot Engagement Ring, 1/2 Carat to be high quality, authentic jewelry, as described above.